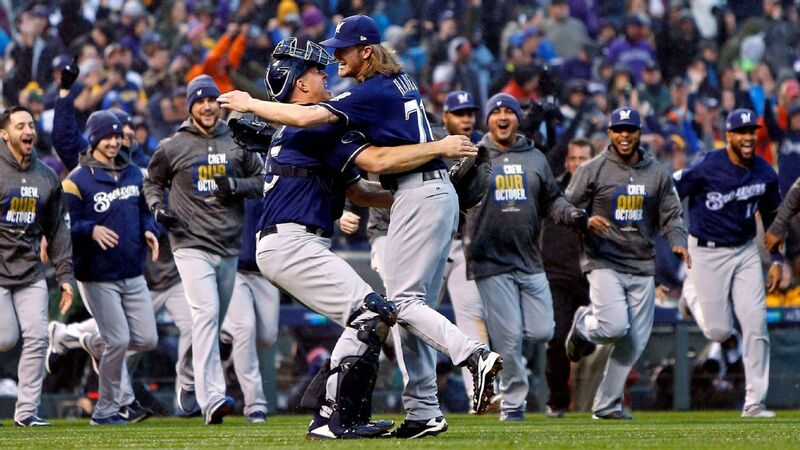 Kratz, 39, was one of the key players in the Brewers’ National League Division Series win over the Colorado Rockies, going 5-for-8 with two RBIs. But he was in a camp competition with Manny Pina for the backup catcher spot behind Yasmani Grandal and apparently lost out. The Brewers officially signed reliever Alex Wilson to fill Kratz’s roster spot. The team had agreed to a contract with Wilson last week with right-hander Corey Knebel out indefinitely after suffering a partial tear to the ulnar collateral ligament in his pitching elbow and fellow right-hander Jeremy Jeffress sidelined with a sore shoulder. Wilson, also a right-hander, has pitched the past four seasons with the Detroit Tigers and had a 3.36 ERA in 61 2/3 innings last season.